Zoom 95 FM live broadcasting from Mexico. 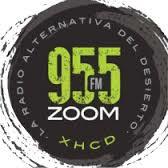 Zoom 95 FM is one of the most famous online radio station on Mexico. Zoom 95 FM is the popular electronic genre based online radio station which has achieved a great support from their listeners across Mexico and from around the world.